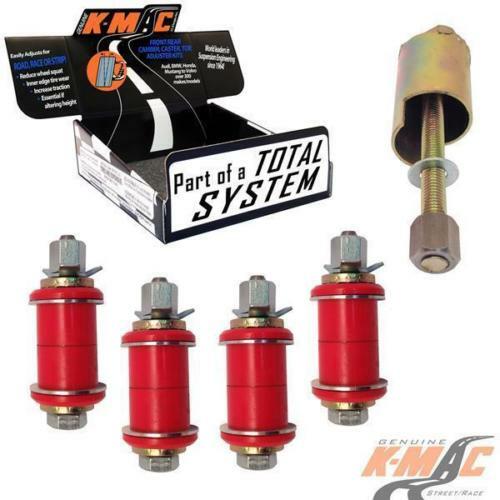 PRODUCT : Bolt-on Patented design, K-MAC Camber kits reduce wheel squat/costly inner edge tire wear and improve traction. Essential if lowering, load carrying or when expensive low profile tires fitted. 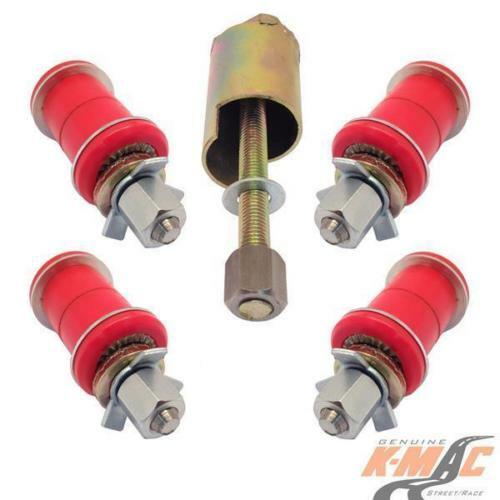 Allows ongoing precise adjustment for curb knocks. 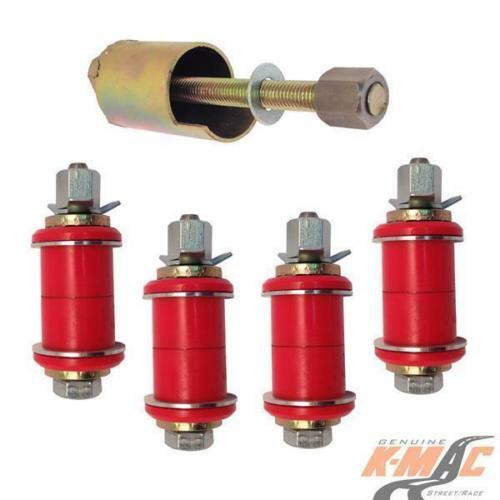 K-MAC kit provides the biggest adjustment range and load bearing area for extended bush life. Bush extraction/insertion tool included.